Spring is just around the corner. With warmer weather and flowers in bloom it can be tempting to call upon the slate of tried and true pastels for some spring color inspiration. 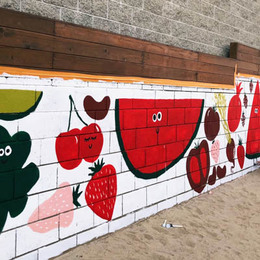 And while we love tradition, at Dunn-Edwards we’re about diving into the latest color trends and the cultural phenomena driving them. We’ve put together a list of spring color trends to look out for that range from pastels to bold tones. Bohemian décor can be found in almost any home goods store right now, not to mention it’s all over the pages of home décor magazines and blogs. The best way to execute this look is to choose happy colors with a more mild sensibility, like Coral Bisque (DE5177), pictured above, or Light Carob (DE5183).These tones pair well the organic textures of a bohemian aesthetic like rattan, wood and woven rugs. 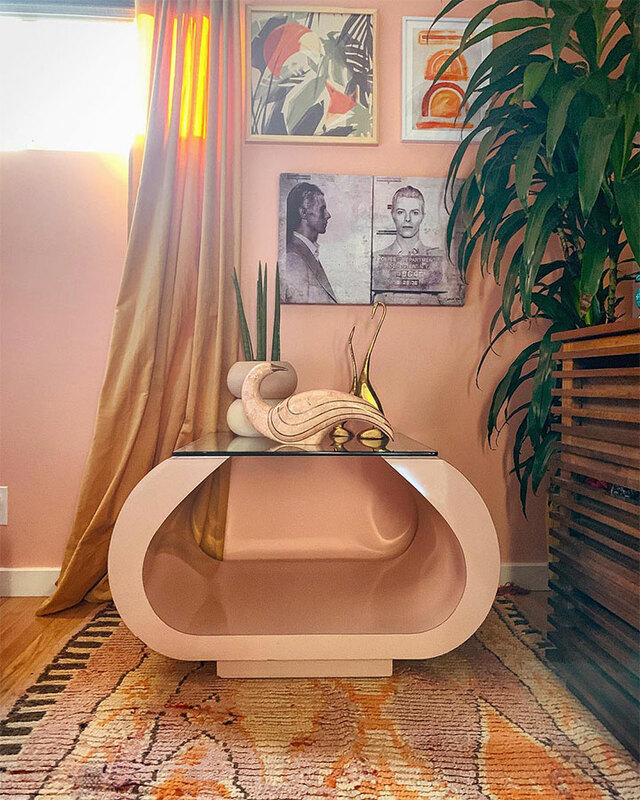 See how stylist and songwriter Katie Mack used Coral Bisque to create permanent vacation vibes in her family’s home. Nostalgia for the ‘90s is alive and well. So when it comes to paying homage to the decade that brought us home décor trends like pink and green marble, coral is key. Some other corals and shades of pink to try: Organic Fiber (DE5175), Translucent Silk (DE5147) or Mesa Rose (DE5114). 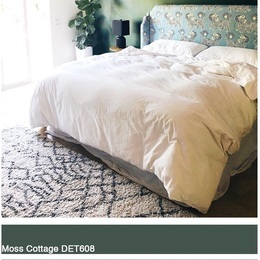 From hunter to forest greens, Elle Décor also echoes the sentiment of our verdant color pick for this list. For a dramatic, yet spring-inspired look, try one of our Dunn-Edwards deep greens. 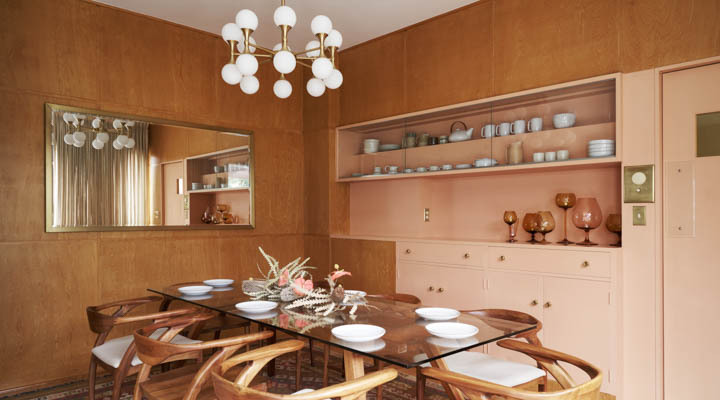 This perfectly woodsy nook of Kitchy Kitchen blog and Sweet Laurel Bakeshop founder Claire Thomas’ home is highlighted by Mission Jewel (DET539). 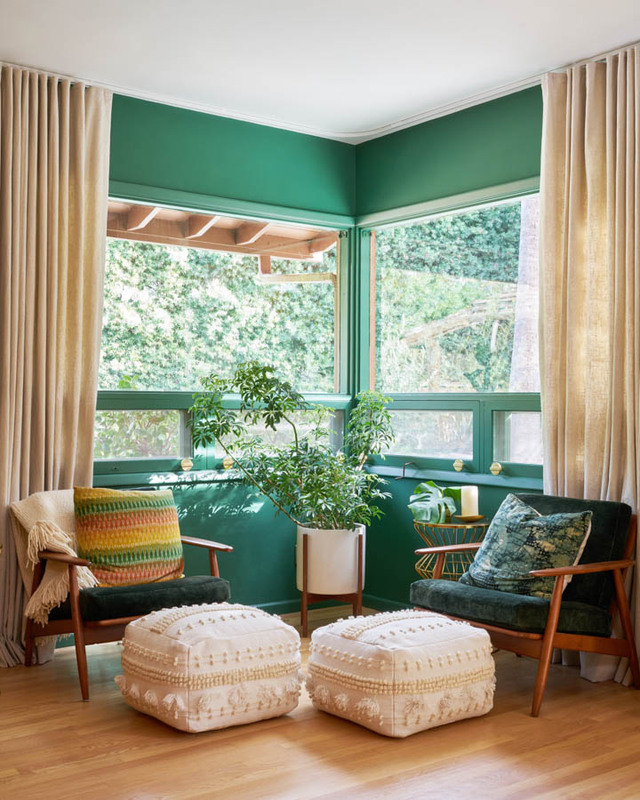 Try this deeper shade of green in a well lit room. If there aren’t sufficient windows, make up for lack of natural light with floor lamps. Some great neutrals to add into the mix are Muscat Blanc (DET676) and Trail Blazer (DET633). Another of our favorite spring colors is sunny yellow, a tone fairly close to Gen-Z yellow. It’s a color you can’t help but smile at, and it’s a great hue for a springtime front door refresh. 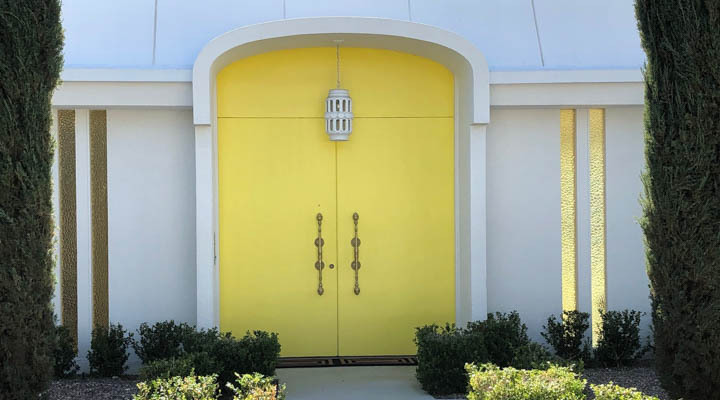 Sunny yellows are welcoming, eye- catching, and an excellent way to add curb appeal to any home. 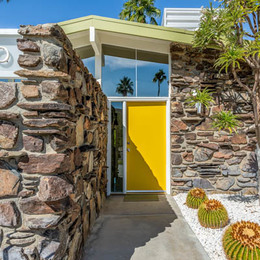 The shade of yellow used on this striking door above featured at our 2019 Palm Springs Modernism Week Door Tour is Highlighter (DE5404). When paired with White (DEW380), this duo makes a classic combo. For more touches of sunshine try Lemon Punch (DE5398) or Fresh Pineapple (DE5411). 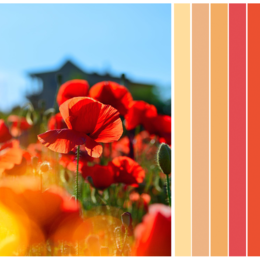 these color trends would look like in your space.